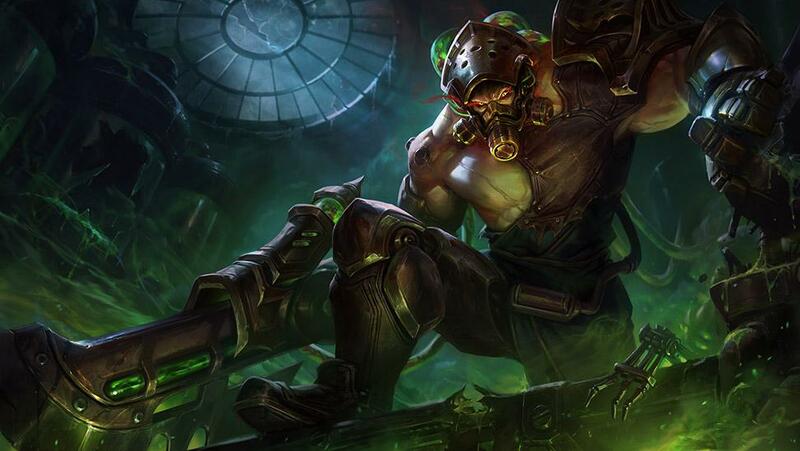 Caged to showcase the results of augmented might, Chemtech Tryndamere escaped by destroying the facility holding him. His freedom was the start of a vengeful campaign, creating a new legacy built on the changes forced upon him. Now, the only force swaying the abomination’s brutal hand is his own. Chemtech Tryndamere is loose in the League store for 975 RP. Spin, slice, sprint, and slaughter as you showcase the truly terrifying power of Chemtech.